Lend your sofa or seat extra style and support with this pair of lumbar pillows. 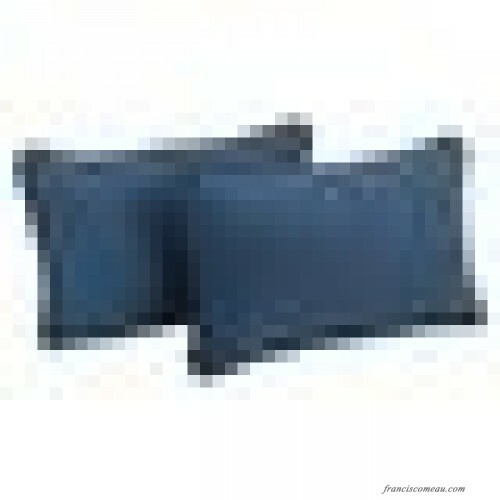 Measuring 12'' H x 20'' W x 4'' D overall, each piece includes an insert for a bit of back cushioning as you relax in any room. 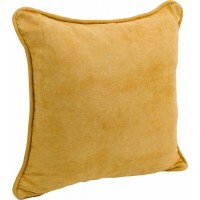 The microsuede covers showcase a solid hue with piped edges for an understated and classic look. Zipper closures make it easy to remove the inserts whenever the covers need a pick-me-up (spot-clean only). 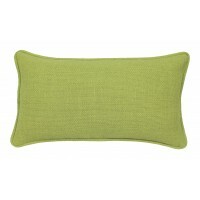 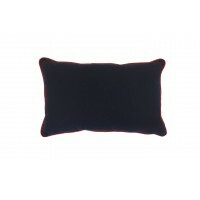 The right throw pillow elevates and adds comfort to your seating or bedding ensemble. This lumbar pi..
Take a nap or add the finishing touch to your sofa with the tropical square microsuede throw pillows..
With the perfect blend of simplicity and sophistication, the Contemporary Loft Lumbar Pillow gives y..
Add a touch of style and comfort to your indoor and outdoor furnishings with the new Blazing Needles.. 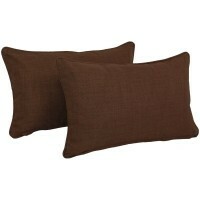 Luxury fashion pillows constructed with Sunbrella outdoor performance fabrics. 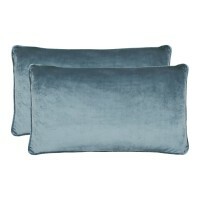 Sunbrella has the hig..